Closed for the 2018 Season! Check back in July 2019! Please note that we are a family run, working farm. Occasionally, we find it necessary to close the farm due to weather conditions, ripening, etc. It is always best to call ahead on the day you are visiting the farm to confirm that we are open and to see what the picking conditions are for that day. When you arrive, please drive slowly all the way up the driveway past the barns, to the top of the hill, park and check in at the store. Please be aware that at times there are kids playing, loose dogs and horses being ridden on the driveway--so please drive slowly--5mph. We provide the picking buckets but you are welcome to bring your own. All blueberry fields are handicapped accessible. Fruit is sold by the pound. No dogs allowed, with the exception of service dogs. Signup here to receive an email when the fruit is ripe throughout the season. Learn more about us on the Farm History page. 500 pounds of blueberries were picked in the 2016 "Picking for the Pantries" Event! Picking for the Food Pantries Special - Being held early in 2016. See above for details. This event is usually held each year on Labor Day Monday, but may change due to picking conditions. 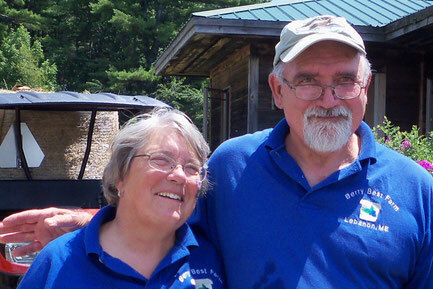 To glean the blueberry fields we offer a "Picking for the Food Pantries" day. Pick blueberries for free that day. Keep half of what you pick for yourself and the other half Berry Best Farm will deliver as a donation to a local food pantry. 2014: 550 lbs. 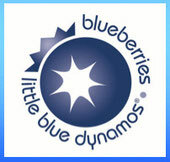 of blueberries were donated to eight local food pantries! Thank you to our customers who helped us help others in our community! In 2010 Berry Best Farm was protected from future development by the Three Rivers Land Trust (3RLT) www.3RLT.org The loss of viable farmland in York County is becoming an increasing concern. Have you noticed how often housing developers have snatched up open fields for housing--land not likely to be ever tilled again, land lost as open space, land available for food production, pasture or potential forest? We have been concerned and thinking about this issue for some time, but when a nearby field recently sprouted seven houses, we knew it was time to put actions in place. For the past 11 years, 3RLT has been helping landowners preserve and conserve our natural resources. With the help of 3RLT volunteers and through numerous meetings an agreement was drawn up which protects our farm forever from development to be enjoyed by future generations.